We will have several services and special events during Holy Week and six worship services on Easter Sunday. Save the dates! Good Friday, April 19: 7 p.m.
Sunrise Service: Patio at 6:30 a.m. Contemporary Services: FE 200 at 9:30 and 11 a.m.
See a full schedule of services and activities. Covenant will observe Maundy Thursday in homes throughout Austin. On April 18, from 6 to 8 p.m., we will meet in member homes for an evening of fellowship, a potluck meal and communion as we remember Jesus’ last evening. These are informal gatherings for the whole family. All homes are intergenerational unless otherwise noted. Sign-up. Contact Kathryn Sedberry. All are invited to our Lent Event on Wednesday, April 10, hosted by Children and Family Ministries. Drop in to Eaton Hall anytime between 5:30-7 p.m. to begin your hunt—this is not a timed event! Your family will be able to visit 11 stations throughout the campus where you will hear the story of Jesus' life, collect your very own egg set and decorate an egg carton. Volunteers to share scripture and man stations are needed. For more information or to volunteer, contact Rachael McConnell. Each year, Covenant adorns the Sanctuary with Easter Lilies in honor and rememberance of loved ones. The plants are $15. If you would like to honor someone this Easter, contact Melanie Dixon (334-3024) by Monday April 15. Free Family Photo Backdrop with professional photographer and props! Childcare available for ages 2 mos. - 4 years at 8:15, 9:30, 11 and 11:05 a.m. Celebrate the Resurrection and the Life by holding and nurturing precious new lives! Covenant Children and Family Ministry is looking for people to help with our babies and preschoolers in childcare at the 8, 9:30 and 11 a.m. worship services on Easter. We want to help our families worship Easter morning. Email Elizabeth Moore if you have any questions or want to help. 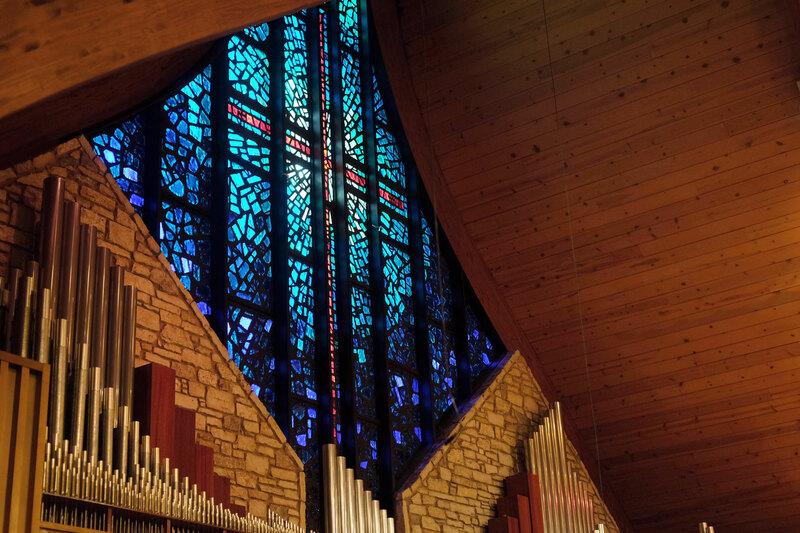 Covenant's children's choirs will present "Jonah and the Whale" on Saturday, May 4, at 6:30 p.m. in the Sanctuary. The group will give an encore performance on Wednesday, May 8, at 6:30 p.m. in the Sanctuary. In preparation for Holy Week, Covenant Children and Family Ministry will have its "Communion Conversation" in FE 300 on Sunday, April 14, from 12:15 to 1:30 p.m. During the event, suggested for students in second grade and older, kids will learn more about the meaning of the sacraments, and explore the purpose and importance behind the ritual of communion. Associate Pastor Jon Wasson will serve communion. Lunch will be served so reservations are required by April 10. Contact Christy Milam. Volunteering during the week of VBS is a way for the entire congregation, together, to support Covenant children and families. We are looking for 25 five-day volunteers to lead, connect, mentor and serve our small groups during the week of June 3-7 from 8:30 a.m. to 12:30 p.m. each day. Volunteers will receive lunch and inspiration daily as we serve our children together. When we baptize children, all members promise to travel with our youngest congregants on their Christian journey. We believe there is a place for everyone in Children and Family Ministry. Everybody can be a SOMEBODY ... and have a blast in the process. Our VBS theme is Power Up! Contact Christy Milam at cmilam@covenant.org and get powered up to serve this summer! The most fun week of the summer 2019 is June 3-7! Join the kids and volunteers of Covenant for Power Up, VBS 2019. Each day, Monday through Friday from 9 a.m. to noon, our kids will discover how “God’s power has given us everything we need to live a godly life" (2 Peter 1:3a, NIV). Get more information and sign up here. Also, Triumph Sports Camp will offer an afternoon camp June 3-6 from noon to 4 p.m. for children ages 4-12. Through this fun camp, kids get their energy out with various sports while learning more about God's love. Learn more here. Covenant will offer a ministry of encouragement pie-making class on Sunday, April 14, at 2 p.m. in FE 300. Class participants will learn how to make a pie with the expectation that they will also learn the joy of giving it away. There are limited spots! Stuart Young will teach the class. To reserve your spot (first come, first served), email Kay Austin. Read about how Stuart started making pies on our blog. The MoMs Group meets on the first and third Mondays of the month from 9:30 to 11:30 a.m. in the Sanctuary Parlor. Please join us for coffee, a snack and fellowship with other moms. On Monday, April 15, we will explore possibilities for the upcoming summer! Come hear about options for camps, vacations and family activities for all ages. For more information on MoMs, contact Katie McFarlane. For free childcare, please make reservations at least 48 hours in advance by contacting childcare@covenant.org. Covenant has hired Alison "Ali" Bolsinger to serve as Director of Middle School Ministries. Ali, who will graduate from Gordon College in Wenham, Mass., at the end of May, has been on the staff of Young Life for four years; three years as a volunteer and the past year as a staff person. Ali’s degree will be in Christian Ministries with a concentration in pastoral ministries. She has honed her skills by developing, planning and providing oversight to weekly Young Life club events and activities. “Research has shown and my own experience has validated that a young person’s engagement and connection to the church during their formative years sets the path for their adult years,” Ali said. “I have come to see the importance of knowing the ones that you are serving and meeting them exactly where they are, just as Jesus has shown us to do ...” Read more about Ali. The Covenant Foundation's job is to support the church, working to help Covenant maintain a strong financial position. In 2018, Foundation members noticed that the Sanctuary did not have a Bible for every seat. The Foundation purchased 200 Bibles to fill all those empty spots and have a few extras. Megan Poore writes in the Foundation Blog this month about the "See It, Do It" philosophy of her family and how Foundation members have adapted that same philosophy to support the church. Read the article. Covenant's Annual All-Church Picnic is Sunday, April 28, at the Skaggs ranch (13600 FM 1826). The fun starts at 4 p.m. and goes until dark. Drinks are provided. Bring your own food for your family, and cookies to share. Come prepared for softball, kickball, running around and more. Find directions on the web at covenant.org/picnic. Covenant is looking for s a part-time, graphic designer/webmaster. Responsibilities include designing and laying out materials for web and other forms of electronic media, and print, serving as webmaster and owning some social media accounts. This individual will be detailed oriented and able to manage several projects at one time. Some admin work is required. Knowledge of Adobe In Design, Adobe Creative Suite, WordPress and Mailchimp is required; photography and videography skills are desired. Flexible hours, 20-25/week. To express interest, send an email and your resume here. Terry Cole and his Street Youth Ministry (SYM) are making a special Lenten push to recruit new members for their prayer team. Participants receive two emails per month, one containing a prayer request specific to a street-dependent youth being served by SYM, the other a celebration letter featuring the clients and goals they achieved during the previous month. Terry promises no spam or “cajoling”! “Prayer is the strongest thing we do,” said Terry, “but email account churn and other factors cause us to lose a lot of prayer warriors.” SYM has been serving homeless youth since 2008, and Terry is a commissioned missionary of Covenant. Join the list here. Applications to join Covenant’s 2019 Cuba ministry team are now available at covenant.org/cuba. A team of Covenant members typically travels to Cuba in late October/early November, staying at our sister church in the Havana barrio of Luyanó. More than 200 members have gone since 1994, many more than once. The team enters Havana under Cuban government-issued religious visas, requiring registration months in advance. Preference is given the first 15 members who register by May 31. For more information, talk to Cuba ministry veterans wearing CUBA nametags on the patio and view the display on the patio kiosk. Visit covenant.org/cuba to watch a video from last year’s trip and apply for 2019. Contact Jack Kern with questions. The next VISIONS Activities Day is Tuesday, May 7. We will have games, lunch and a movie, starting at 10 a.m. in FE 200, with lunch served at noon and the movie at 1 p.m. Stay tuned for the movie title. Free plants for all mulchers! Join us on Saturday, May 11 at 8:30 a.m. for Covenant's 6th Annual Spring Mulch Day! Have fun, fellowship and snacks while spreading lightweight Cypress mulch to beautify our campus. All ages are welcome! Questions? Contact Melissa Mathews. Wanna hear about the amazing family mission trip to Belize? Come to FE 200 on Wednesday, April 24, to hear stories from the members of the Belize team. This is a great opportunity to learn more about Covenant's partnership with the Ebenezer Church and to find out how you can join in this partnership! Event starts immediately after dinner (6:30) and will end by 7:30 p.m.
All women are invited to a spring luncheon on Wednesday, May 8, from 11:30 a.m. to 1 p.m. in FE 200. Amy Poling Sutherlin, author of “God’s Promise: I Am With You” Bible study, will present, bringing humor and inspiration to her topics. She and her husband are co-pastors of First Presbyterian Church in San Marcos and parents to four children. The group will vote on a revised version of the PW bylaws; a copy is in the library. You may contact Maria Raper or Melissa Mathews to get a copy. Chef Mark will prepare a salad bar; a $10 donation is requested. Childcare available with reservations. Covenant Matters will NOT be published on Easter Sunday. Check the website covenant.org/covenantmatters for updates! The newsletter will be available on April 28. We will also publish on the third Sunday in May. Articles should be submitted at covenant.org/submit by 5 p.m. the preceding Tuesday. The Covenant Prayer Shawl Ministry continues to supply shawls, blankets and caps to the community of Austin and beyond. We have eclipsed the 10-year mark, and have surpassed 1,520 recipients! In addition to Dell Children's Medical Center, we also partner with The Christopher House. We are seeking any interested individuals to help us continue our commitments to Dell and The Christopher House. We meet on the first and third Tuesdays of the month from 1:30 to 3 p.m. We may consider meeting on different days. Work can also be done off campus. Contact Jean Westfall. Covenant is excited to invite you to consider participating in a Formation Cohort in 2020! The cohorts are part of Covenant’s Institute for Missional Formation (IMF) that prepares members in our congregation to take their place in God’s mission in the world. Three new cohorts will begin a year-long journey to establish rhythms of spiritual and missional practices beginning January 2020. Each formation cohort is made up of 15 to 20 men and women who participate in four retreats, monthly cohort video calls and short weekly spiritual practices. Find information and express interest.